Since 1985, Francis Miot, World Champion Jam Maker, has been turning his love for gourmet jam and his unlimited creativity into wonders in a jar. With an artisan making process, his single fruit or unique combination jams are created to seduce and surprise, with strong and unexpected natural flavors and low sugar content. 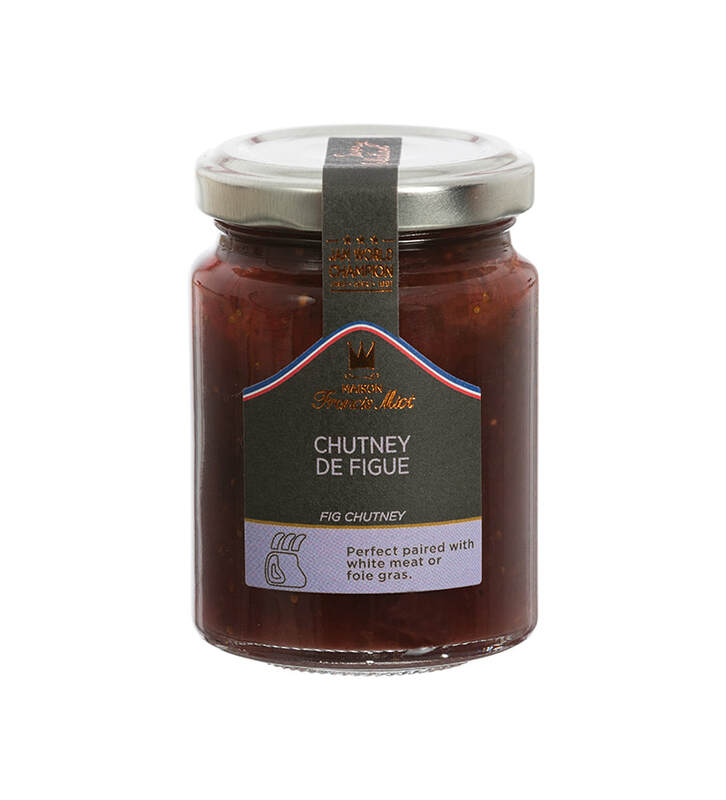 It was simply natural that Maison Francis Miot applies its talent to the creation of a chutney collection and continue the tradition of unique and well balance natural flavors. hazelnut, concentrated lemon juice, acidifier: tartaric acid, gelling agent : pectin. Consume as it is or paired with white meat or foie gras. Can be mixed warm to add flavor and texture to a dish. ​2 years from date of manufacture.